When you first glimpse through the windows of our Lough View Bar you may well feel that you have arrived in golfers paradise. 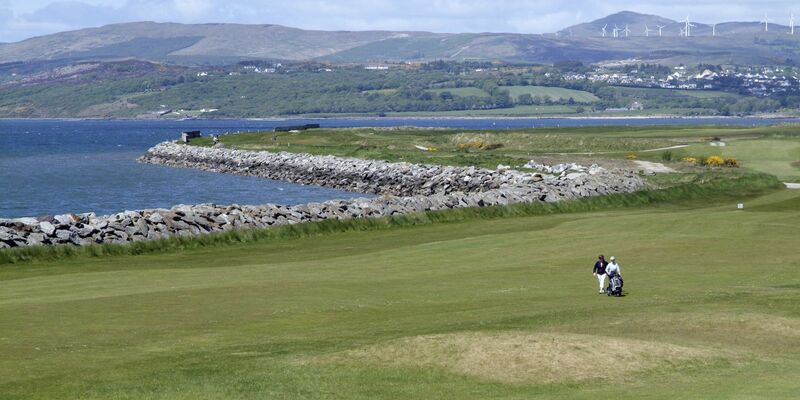 The view across the fairways of Buncrana Golf Club and Lough Swilly over to the Fanad Peninsula is something to behold. 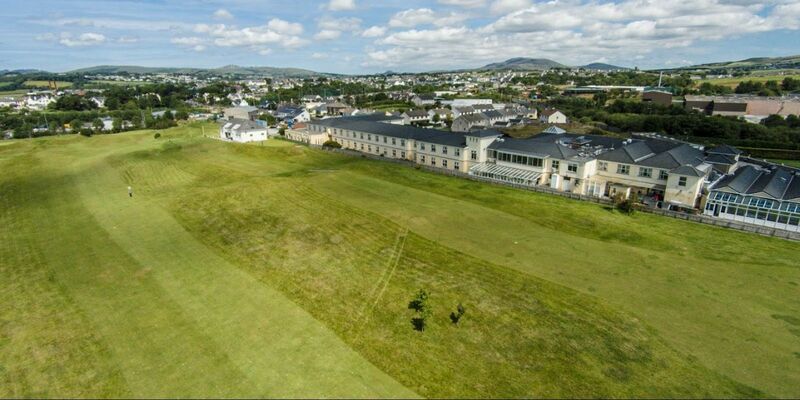 On the first day of your golf break at the Inishowen Gateway Hotel, you may struggle to contain your enthusiasm. 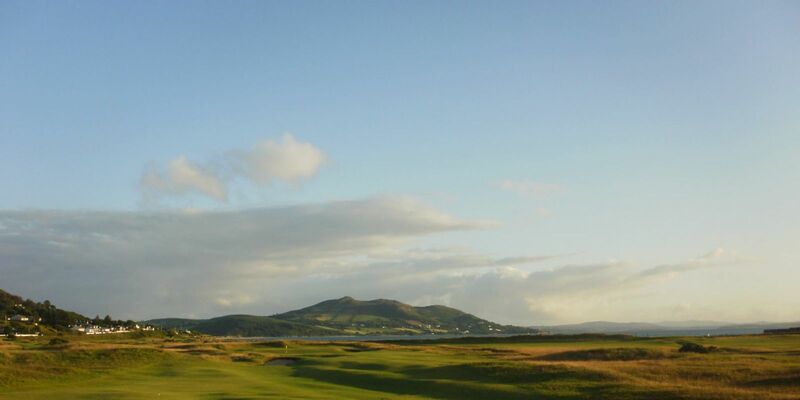 A quick evening 9 holes at Buncrana Golf Club should do the trick, and as our guests enjoy complimentary golf on this quirky links course, it won’t cost you a penny! 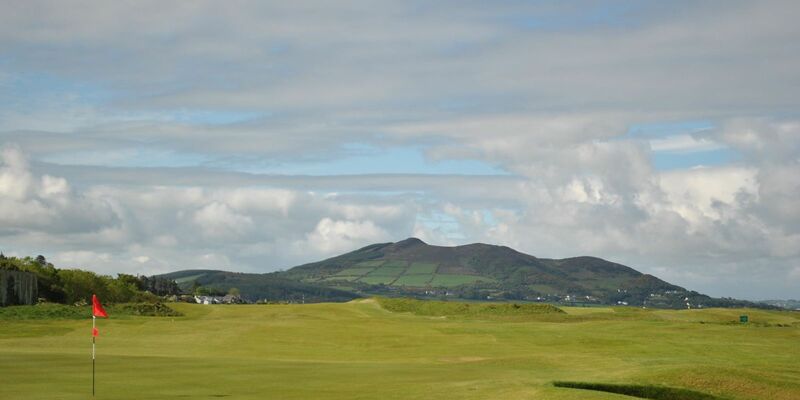 As our name suggests, we are at the gateway to Inishowen and this in turn means that we are at the gateway to some of Ireland’s finest and most historic links golf courses. As well as our back garden being comprised of a 9 hole links, just a 2 minute drive along the Swilly will bring you to North West Golf Club. This would be enough in itself to keep most golfers happy but the cherry on the cake is just up the road at Ballyliffin, the host course of the 2018 Irish Open. 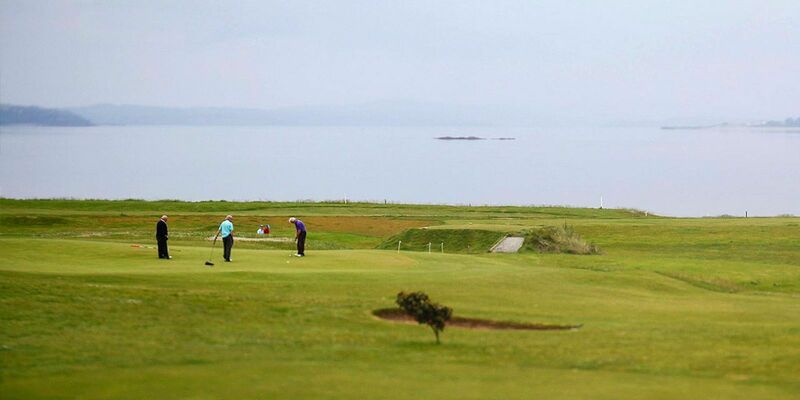 Our location in Buncrana means that your Ballyliffin golf break also allows for accessible evening entertainment (on certain days) as well as fantastic dining options. Golf in Donegal is about to hit the world stage in 2018, come and join us at the Inishowen Gateway for your golf holiday and find out what all of the fuss is about!